-DAY OF FUN WITH YOUR FAMILY. -BRING YOUR VW PARTS TO SALE. -Santa Cruz court house parking lot. 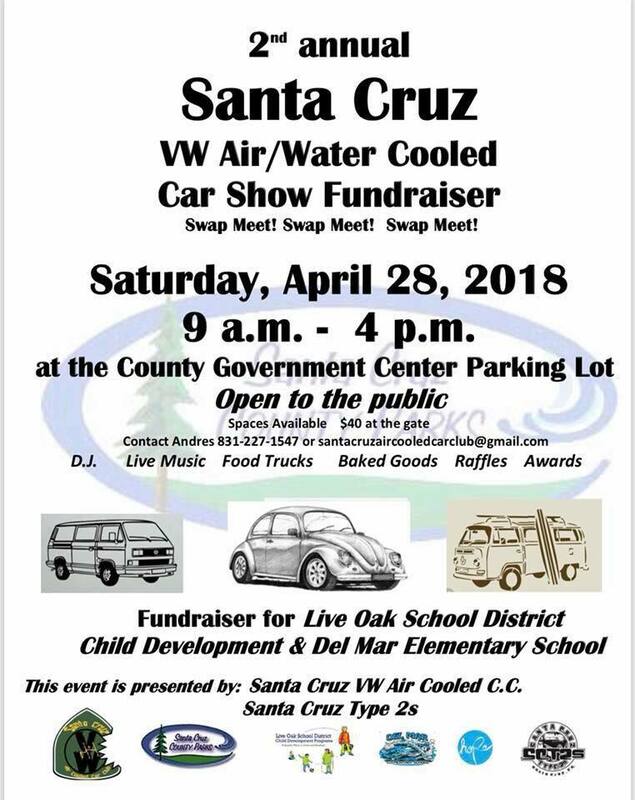 Santa Cruz vw air cooled C.C. THANK YOU FOR ALL YOUR SUPPORT VW FANATICS!!! !